Emily Evans is 27 years old, carrying around the anger and guilt of being sexually abused as a child by her father and emotionally abandoned by her mother. In her mind, she can see herself being a rebellious woman, ruining all of her relationships, but is unable to stop her self-destructive ways, even though she hears the comforting refrain of her grandfather’s voice ensuring her that she is not alone in her battle. She is torn between anger and grace, seeking the peace she’d known as a child before her abuse began. In what ways do you believe your readers will identify with the main character? What brings his or her story “home”? Pain is inevitable in every life, whether it is physical, emotional, or sexual. Readers will be able to empathize with Emily because they will see themselves in the way she denies her pain. She covers it with attempted abuse of a child, with alcohol, with anger, with hateful words, with her cattiness, and with her fists. We’ve all been there; had those feeling of wanting to “get back” at someone. The reader will feel the main character’s anger from the first page and will rejoice with her on the last page. In addition, spouses and friends will be able to better understand their loved ones who were abuse victims—realizing where their (often twisted) perspectives of life, God, and relationships are coming from. This is not meant to excuse wrong behavior but rather to understand how and why they “got there,” and the story of how one woman ultimately moved out of that place, by the grace of God and His persistent love despite her rage and rebellion. Describe an important point of your main character’s story (OR) Please provide a blurb from your book that you feel provides a strong sample of your book’s overall tone. Emily’s anger is pertinent to the story, first, because of how it affected her throughout her life and, second, in that she was finally able to let it go. Anger is an emotion that provokes her actions. When she released her anger, she was finally able to secure the peace she’d been searching for. Standing over his casket, Emily stared down. Her father’s stories and his lies didn’t matter anymore. He’d droned on and on…his father beat his mom, killed her, went to prison. He’d said Denny would never be a man, never make anything of himself. That much was right, Emily thought. Who cared about his story. Her mother’s either. The effects of their actions coursed through her like an electric current. Emily drew back, her face muscles relaxing. She let her left hand linger at the edge of the casket, sliding her fingers back and forth on the cool surface. Her right fist began to ball. Without looking around, she lifted her arm up and away from her body. She drew in a long, hard breath, her muscles trembling, and then lunged forward, punching hard into his face. 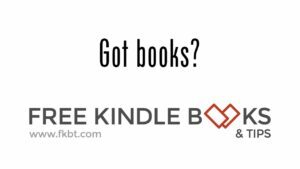 What message or feeling would you like for your readers to take away from your book? What part of the book was the hardest for you to write? Why? Because so many of the scenes are based on true events, writing the scene of Maureen’s impending death was the most difficult. To see a self-centered mother realizing her mistakes, admitting them to Emily, looking for her own redemption in her daughter’s eyes while her daughter is struggling with the anger she has for her mother—that was a tough, tough scene. 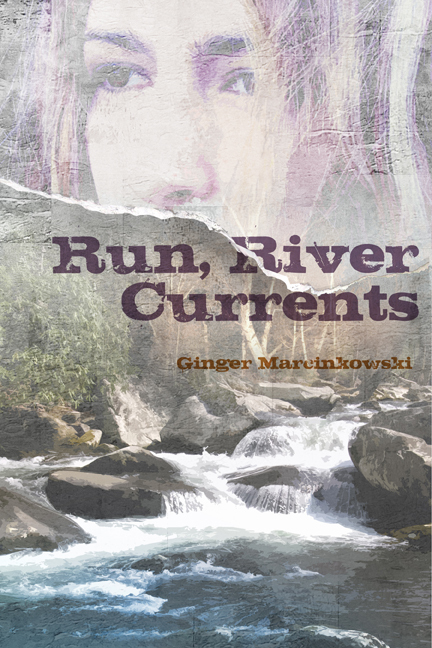 Ginger Marcinkowski was born in northern Maine along the Canadian border which plays a prominent character in Run, River Currents. She is a daughter of divorced parents and one of eight siblings. Her debut novel, Run, River Currents, was published in August 2012 and was a 2012 semi-finalist in the Association of Christian Fiction Writer's (ACFW) Genesis Awards. Ginger has been a public speaker and visiting lecturer for many years. 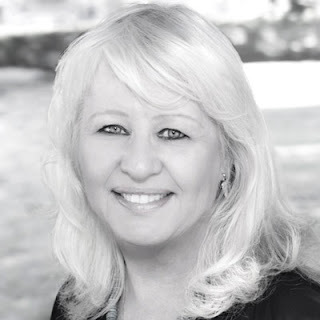 She has been a professional reader for the James Jones First Novel Award ($10,000 prize), and is currently a judge for the East-West Writer's Contest. Her works have been awarded honorable mentions and she has placed in several writing contests. She is looking forward to writing full-time in 2013.